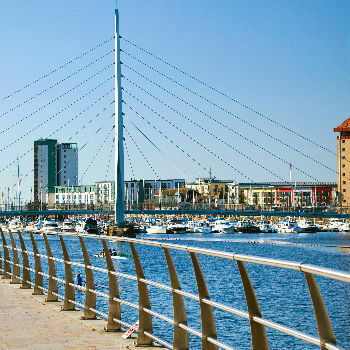 Whether you live in Swansea city centre, Morriston or Sketty, Push Doctor's online walk-in centre connects you with a GP in minutes. With a population of around 240,000 to serve, Swansea's medical facilities are often very busy. Not everyone can afford to spend hours in a waiting room at a walk-in centre. Instead, why not see a doctor from your home or workplace and get the treatment you need in minutes? Our doctors are available on your smartphone, tablet or desktop computer 7am - 8pm, 7 days a week. We're available from 7am - 8pm every day, offering online appointments during the day and out of hours. Most patients don't need to be physically examined by a doctor to get the diagnosis or treatment they need. In fact, this happens around 80 per cent of the time. Our doctors can see you face-to-face on your smartphone, tablet or desktop computer and provide the help you need simply by chatting to you, or looking at an affected area. Problems they can help with include respiratory tract infections (RTIs), hay fever and skin conditions. They can also give you a prescription, sick note or specialist referral if required. Walk-in centres are always busy, so if you don't want to face a potential waiting time of up to three hours, our doctors can see you in minutes. You won't even need to leave the house! If you need a prescription, our doctors can provide one during your consultation. They can even do repeat prescriptions. Whether it's your local Boots pharmacy or another local to you, you can choose where you want to collect your medicine and we'll call ahead to confirm it's available. You'll be able to collect your medication on the same day. If you need specialist treatment for your illness, our doctors can write a referral letter for you that will provide quick and easy access to the best treatment available, whenever you need it. See a doctor in Swansea at a time to suit you. Learn more about walk-in centres in Swansea below. If you still need a walk-in centre in Swansea, the University Health Centre in Swansea provides a walk-in centre in the mornings from Monday to Friday (term time only), while afternoons are by appointment only. 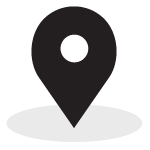 Looking for pharmacies in Swansea? If you need somewhere in Swansea to collect your prescription, we're here to help. This Boots Pharmacy in Uplands is open six days a week and can dispense a range of medications prescribed to you by a doctor.